I know nothing about art. I don’t know the difference between renaissance and art nouveau, or Renoir and Monet. I have no idea why the Mona Lisa is such a famous painting. And yet I really love art, just not all of it. I can be touched by the somewhat disturbing paintings of Frida Kahlo, I like Picasso when he uses a lot of colour, and I have to smile every time I see Keith Harings’ figures dancing around somewhere. Another artist I really love is Kazimir Malevich, pioneer of Russian avant-garde and suprematism. His work is worth millions of dollars and is loved by people all over the world. But as I told you before: I know nothing about art. So, I won’t put Malevich or his paintings in some kind of artistic perspective – I’d rather leave that to the experts. That’s exactly what the makers of the movie featured above are doing as well. They questioned themselves what’s more important when it comes to art. Its name, the artist or the art itself? They used the work of Malevich to find out. In his time, he got rejected by art academies twice. To give him another change the makers of this movie filled a portfolio with Malevich’s work and auditioned at several art academies under the name Michael Mikrivaz (an anagram of Kazimir Malevich). Can the people from the art academies put Malevich’s art in better artistic perspective than I can? Let’s hope so! 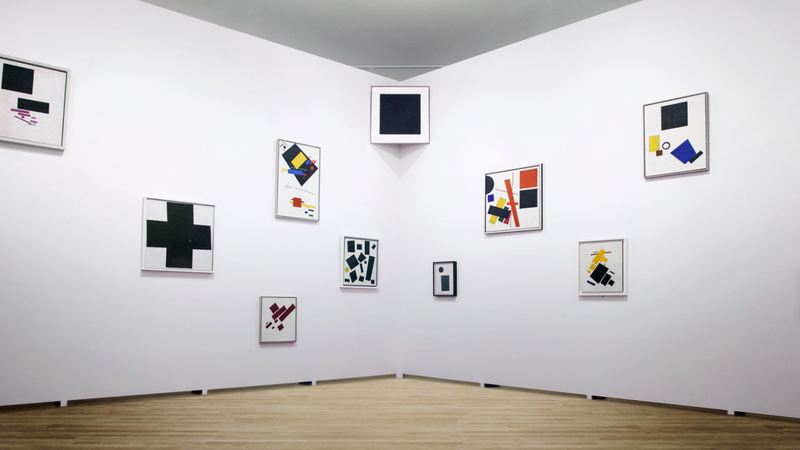 If you want to see Malevich’s work to judge for yourself, you can go to the Stedelijk right now. They have the biggest Malevich collection ever on show, which is quite impressive. They’re showing this big collection of his work together with work from other painters from that same period to put his work in perspective. Stedelijk also made a cool app called Explicit Tours, where some well known Dutchies such as Maxim Hartman and Victoria Koblenko give you a tour through the exhibition.